The gorgeous photos, the enticing headlines, and most persuasive text. Still, you’re unable to get some authentic followers on Instagram. The reason behind, you didn’t find hashtags for Instagram that are relevant to your target audience. Sure, great content counts a lot when it comes to creating a brand authority. But what is even more important is the hashtags for Instagram that create a sweet spot between your brand and your audience. If you’re crafting great content, kudos to you! You’re on your way to get some authentic following. But, having said that, you’re still missing one piece from the Instagram puzzle – hashtags! The great thing about Instagram is that they have provided you mean to be the part of the wider conversation in the digital cosmos. Hashtags on Instagram is your gateway to reach more and more customers for free. But, finding hashtags on Instagram is a bothersome process. Hashtags on Instagram are like Google keywords. People use hashtags to find your brand. And once they discover you, you can spin the magic wand for some sweet-talk. The good thing is, you need to fear anymore. Here I will explain how you can find the best hashtags for Instagram? How can you reach more customers by finding the best hashtags for your business? How many Instagram Hashtags you need to use? But, ideally, if you want to maximize engagement on your Instagram posts, stick to 138-150 characters (69-75 words approx) in your captions. How to find the best Instagram hashtags? To get the most authentic followers for your brand, you need to be very careful when choosing your hashtags for Instagram. A word of warning here: Some hashtags attract spammers, additionally, some hashtags attract photos that you really don’t want to associate your brand with. Related: How to Write Instagram Captions That Drive Sales? The easiest and the most authentic way to find hashtags for Instagram is to search them on Instagram Search Engine. Just type the key phrase in the search box and you’ll get the relevant hashtags. Check each hashtag and see how they are relating to your brand offering. If you’re totally satisfied with the hashtag, go ahead and use it. How to find the density of your Hashtag? To figure out many photos on a hashtag, simply type the word in the search box in your Instagram account. Click on hashtags and notice the number of posts associated with the hashtag. What is a good size Instagram Hashtag Density? To start off I would prefer Hashtags with a density of 500,000+ posts. However, you can also pick those hashtags that give you 20,000 or under results. How to find the high-density hashtag? 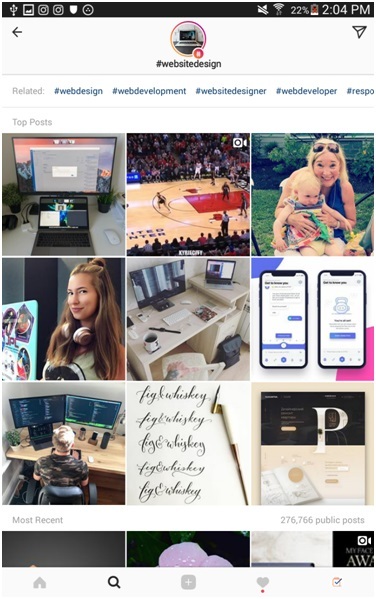 How to find Instagram Hashtags in your niche? 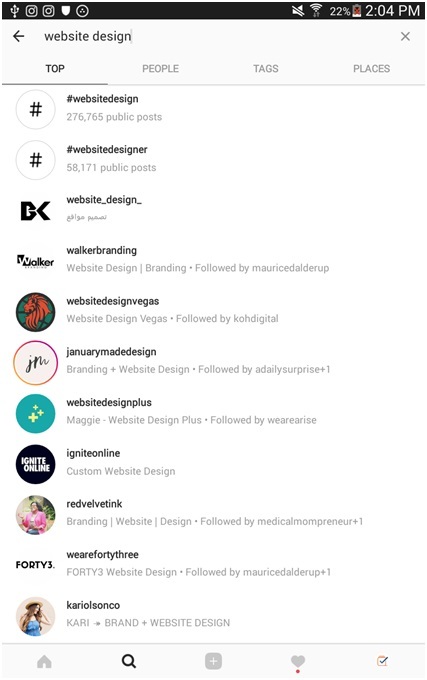 Once you found the top hashtags, click on the related hashtags to figure out what others are posting with that hashtag. If you have a website design agency that is willing to go long way with Hashtags, you need to learn from the best of the best. Here are some Instagram accounts that are using Hashtags the rights way. Instagram hashtag information can come from anywhere around you. Check out the Instagram accounts of your favorite magazines. Everyone is using Instagram that fits their business strategy. Use the suggestions in this blog post and you’ll be in hashtag heaven in no time, attracting more people to your Instagram account. There is no right or wrong strategy. The only right strategy is one that is working for you. If someone is using a strategy that is working for them, it is not necessary that it work for you too, but this doesn’t mean that you stop trying. 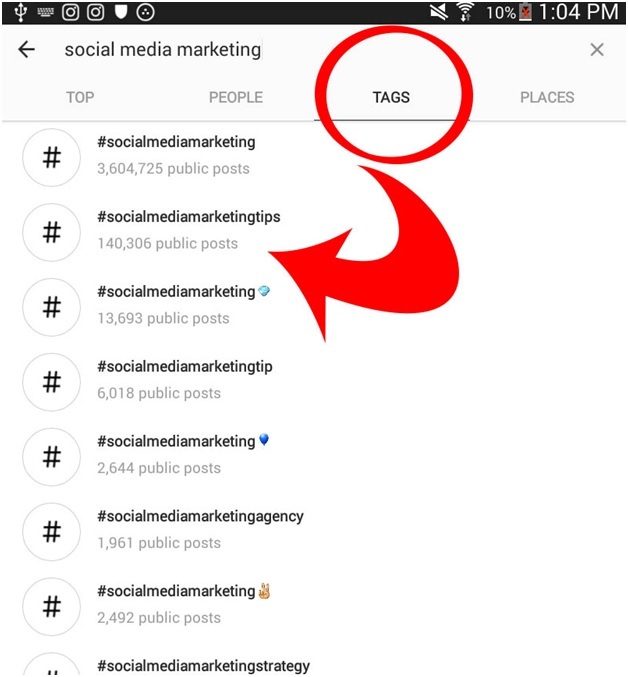 How to Find Instagram Hashtags for your Business?